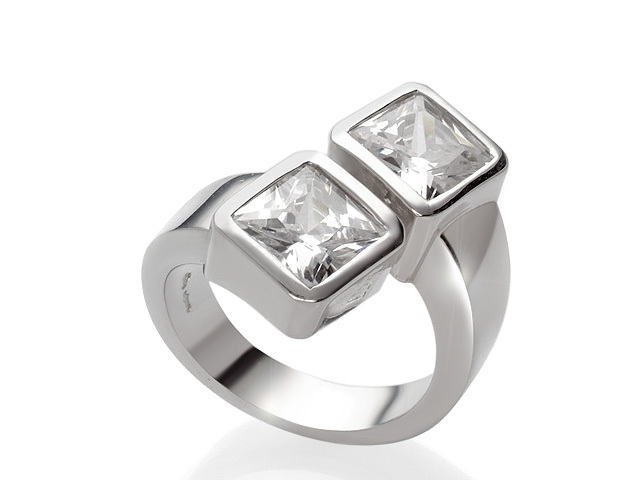 Otazu Sterling Silver Classic Collection Cubic Zirconia RingA beautiful ladies sterling silver, designer ring design. 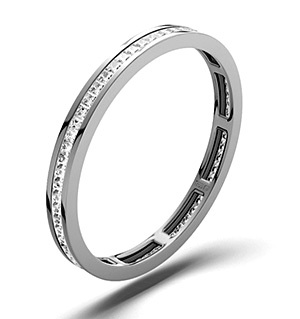 The 925 sterling silver ring band features two square cut Cubic Zirconias set across the head of the ring band in a bezel setting. 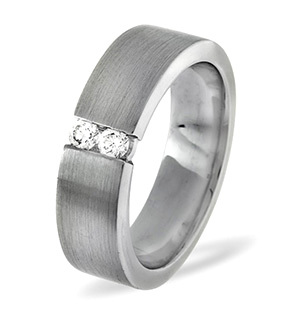 The crisp Cubic Zirconias is perfectly complimented by the polished sterling silver ring band. Diamond (0.67 Ct) 14K W Gold Ring (Size L) 0.670 Ct.